I. The wheel heads can be rotated 360° and be installed two wheels. Just rotate the wheel head, when need to grind the tool of different materials. It can increase the safety & save the time for changing & repairing the grinding wheel. II. 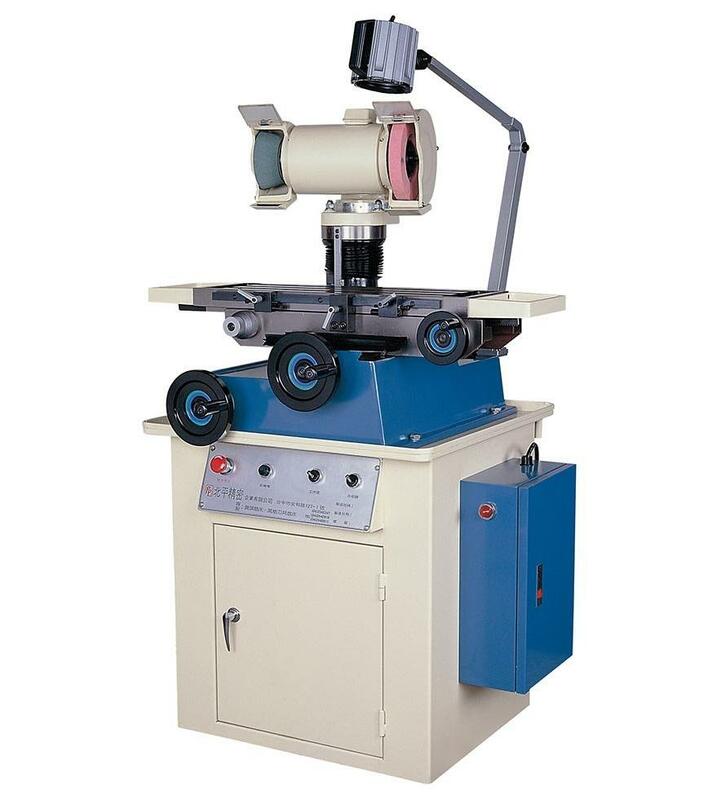 Adopt high precision cross roller guide on the table. The table is stable and can be operated smoothly. III. Adopt FC25 cast iron with high toughness. It can keep the precision of the machine in the long term. IV. The types of tools to be ground include: Drills, taps, end mills, lathe tools, radius lathe tools, radius end mills, chamfer cutter, side cutter, reamer, hob, gun drill, hole saw, slitting cutter, punch, round bar, etc.